We’re so happy to tell you about Smart Chicken, a new addition to our Meat & Seafood Department! Smart Chicken is 100% USDA-verified Pure Air-Chilled (with no added water). Every chicken is raised without antibiotics, growth stimulants and animal by-products and is handled humanely and responsibly at every step. Every cut is deboned and trimmed by hand for chicken with better texture, flavor and nutrition. Organic Smart Chickens are certified organic by the National Organic Program and certified humane by HFAC (Humane Farm Animal Care). Every organic chicken is raised on certified organic, certified non-GMO feed without antibiotics, growth stimulants, and animal by-products. The company believes in properly treating its chickens and also its associates. It keeps a careful eye on the environment as well as the sustainability and renewability of the resources it needs. 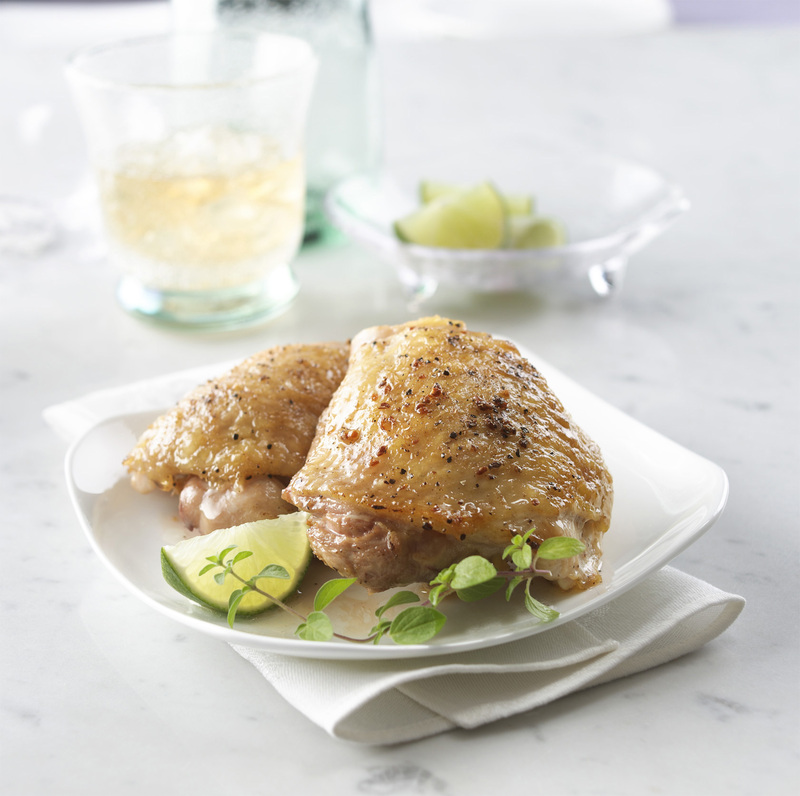 Smart Chicken takes great pride in providing retailers like us chicken with taste. Bonus: The company is based in the Midwest. Why? The vast majority of feed grains produced in this country are produced in this region; corn and soybeans are the dominant feed sources for chickens. Smart Chicken’s poultry is raised in barns and processed in facilities built in corn and soybean fields. Transporting packaged chicken has a significantly lesser adverse impact on the environment than transporting grain. And that’s just the company’s commitment to producing a great product. Smart Chicken also has an incredible library of recipes that includes everything from entrees to breakfast ideas and even desserts! This one for Chicken and Waffles looks AMAZING! Also in our Meat & Seafood Department: Just BARE Chicken! Since 2010, the humane care of Just BARE chickens has been verified under the American Humane Certified® Farm Program. That means all of its practices are audited and certified from hatching through processing. Just BARE’s environmental mission remains focused on lessening our environmental impacts across the entire supply chain, making positive changes in the areas we directly control AND proactively influencing change in the areas we don’t. And their recipe library? Pretty incredible.